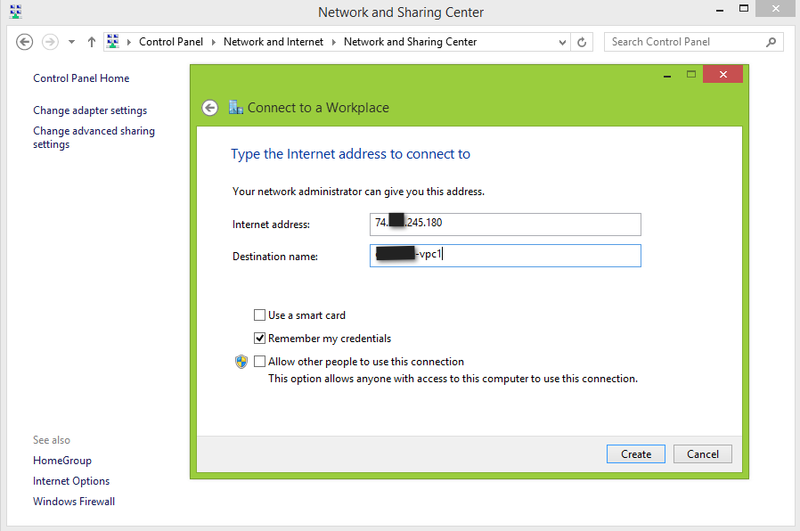 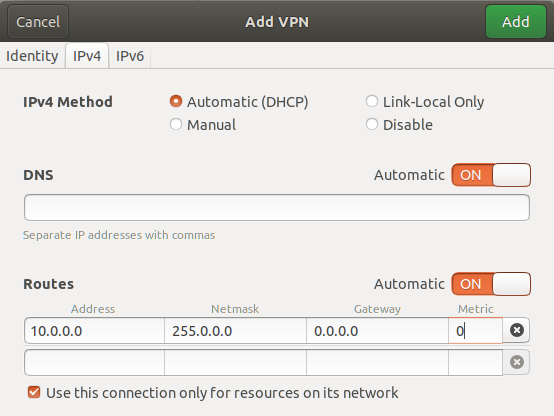 Remote Access VPN connection to VPC or Guest Network to access Instances and applications. 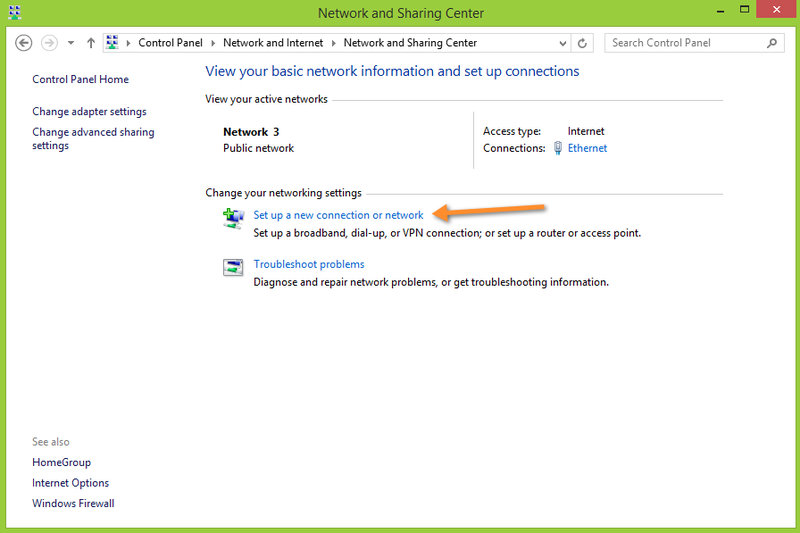 This section consider you have enable Remonte acccess VPN, refer to: Remote Access VPN. 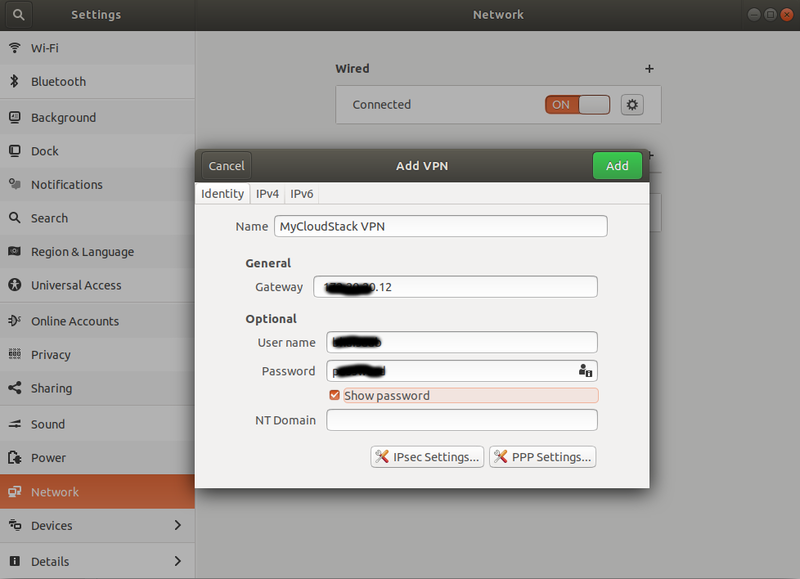 When connected to a VPC via VPN, the client have access to all Tiers. 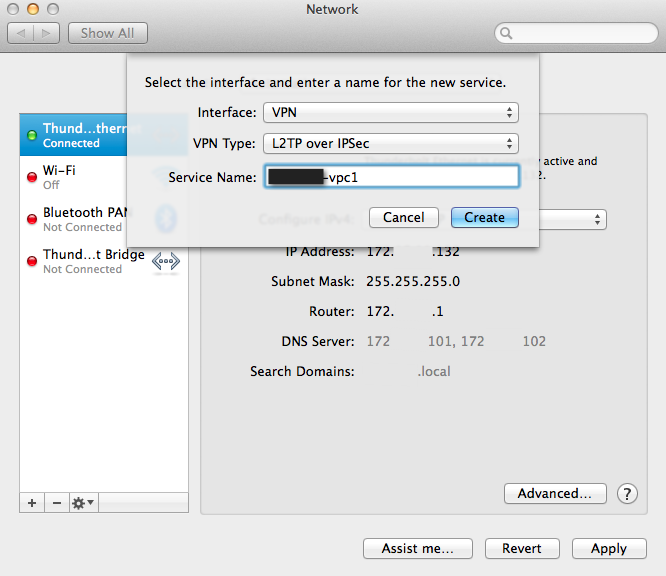 Public IP: source NAT with VPN enabled. 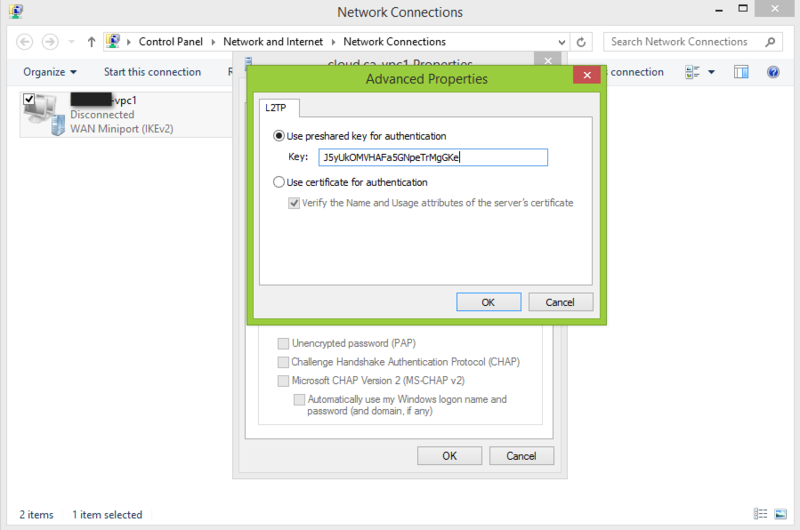 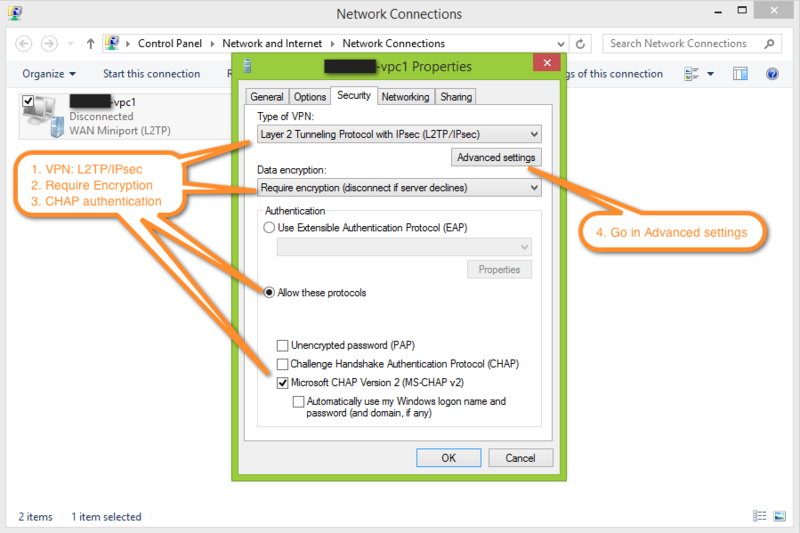 IPsec pre-shared key: Provide at the VPN activation. 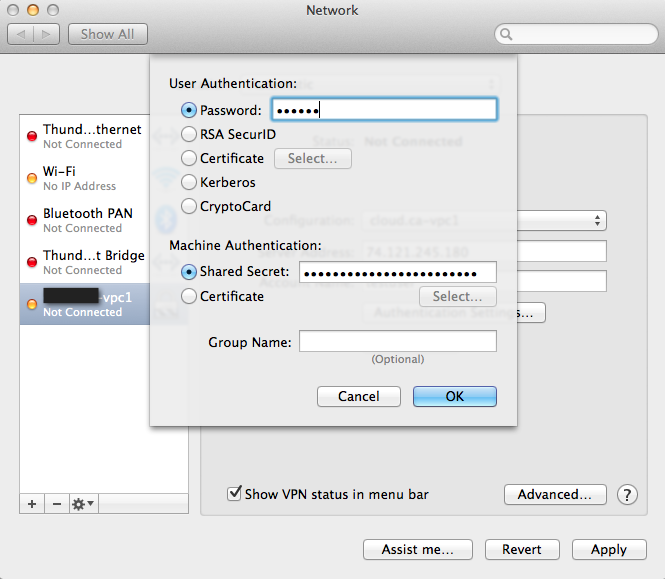 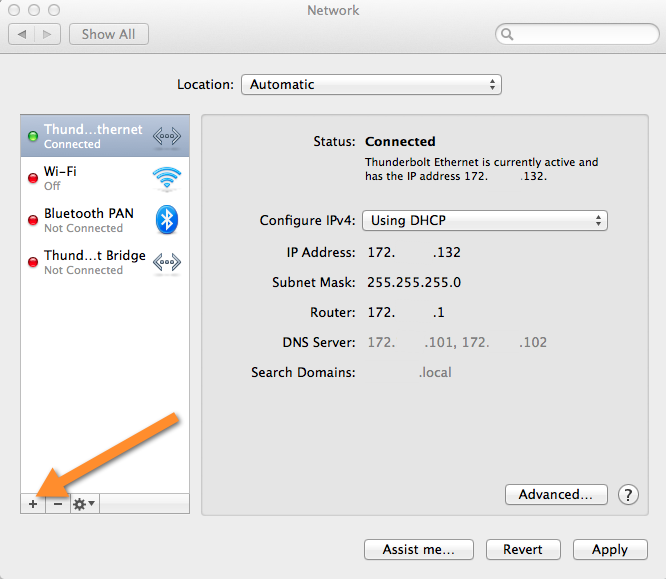 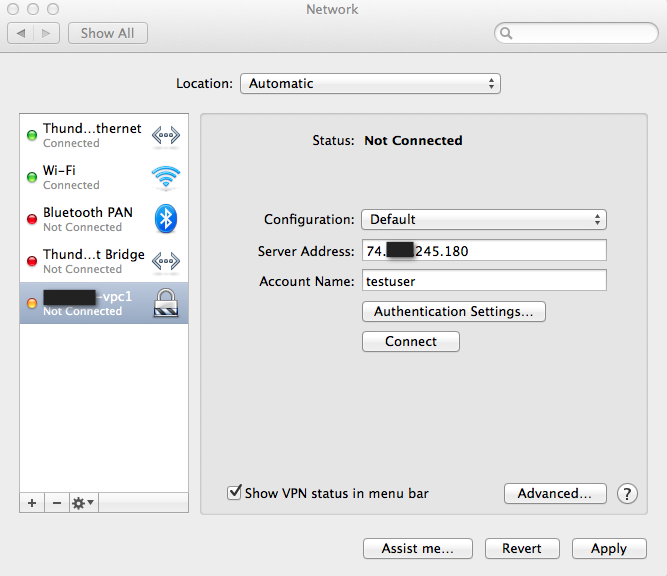 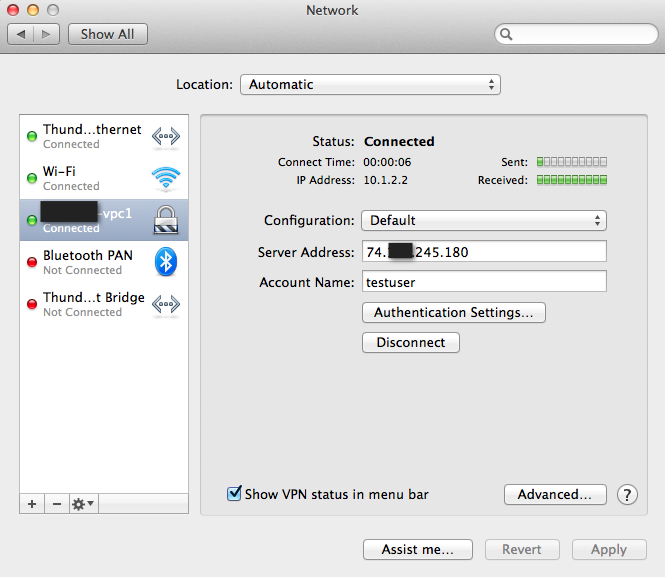 Mac OSX provide native IPsec VPN client. 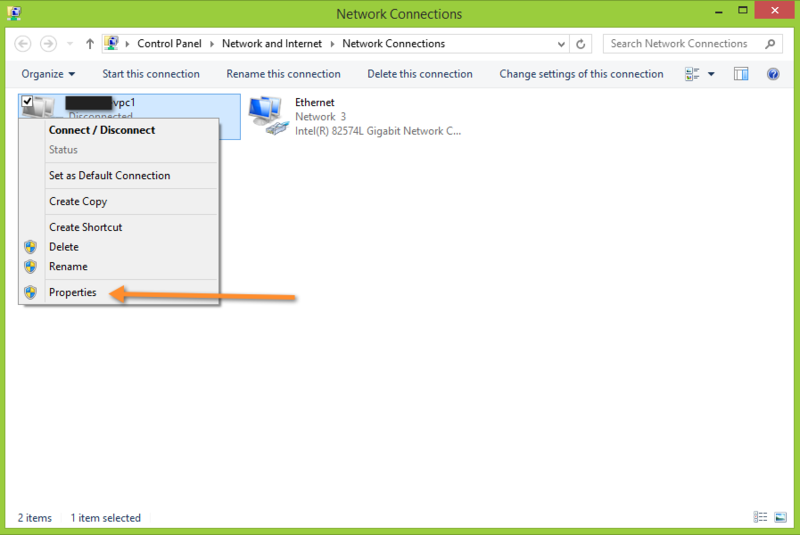 Click Apply to apply Network configuration changes. 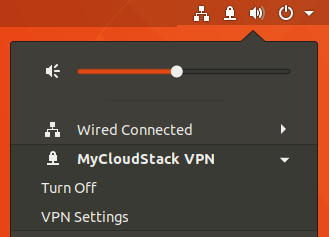 Click Connect to initiate VPN connection. 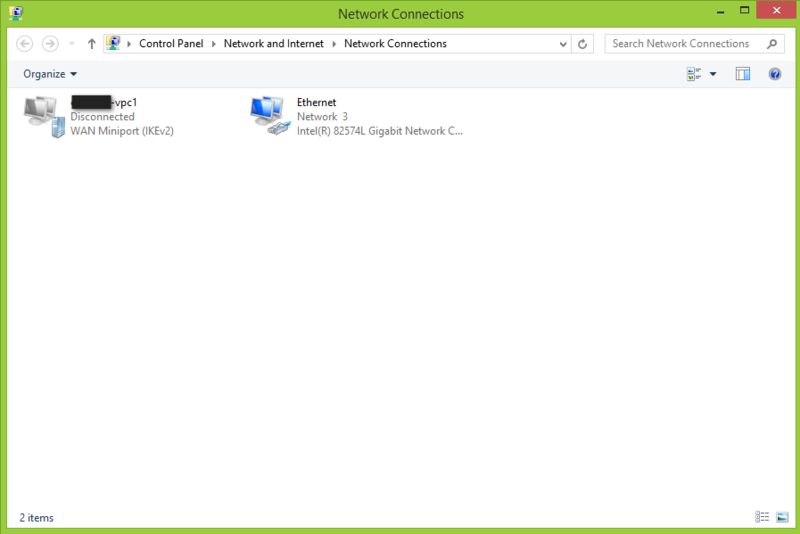 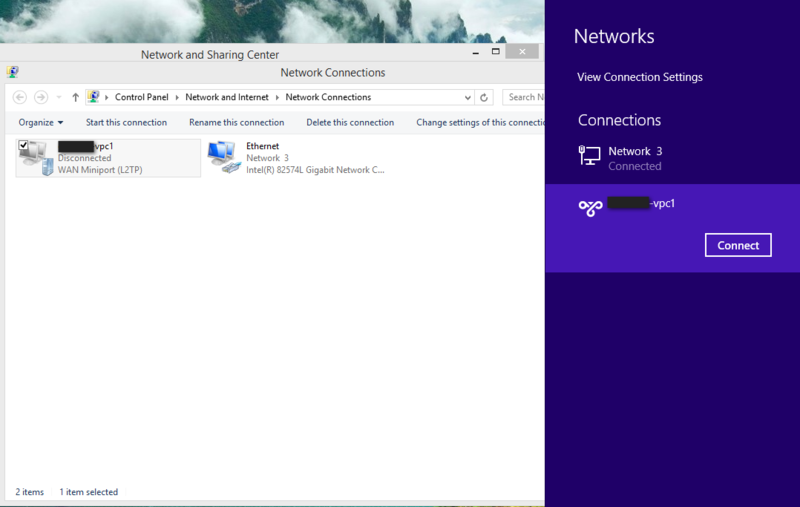 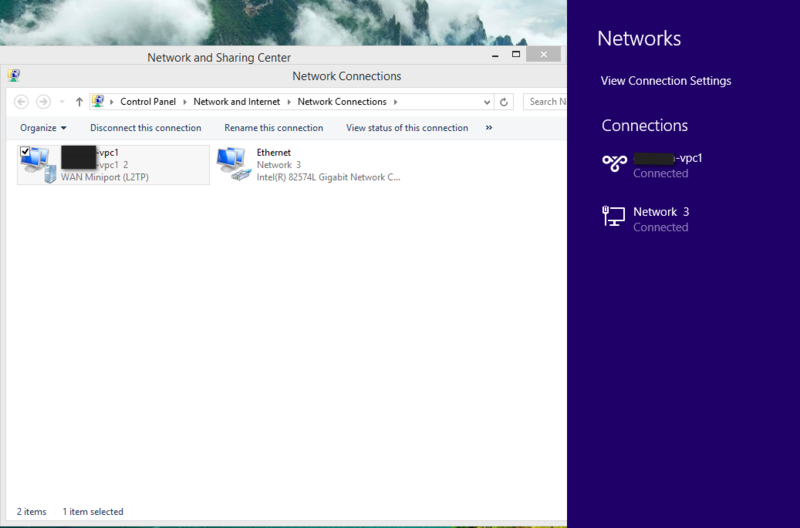 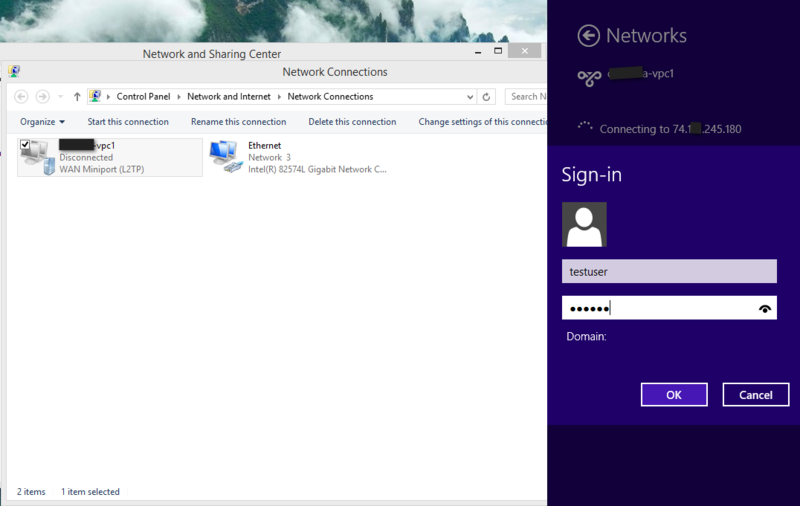 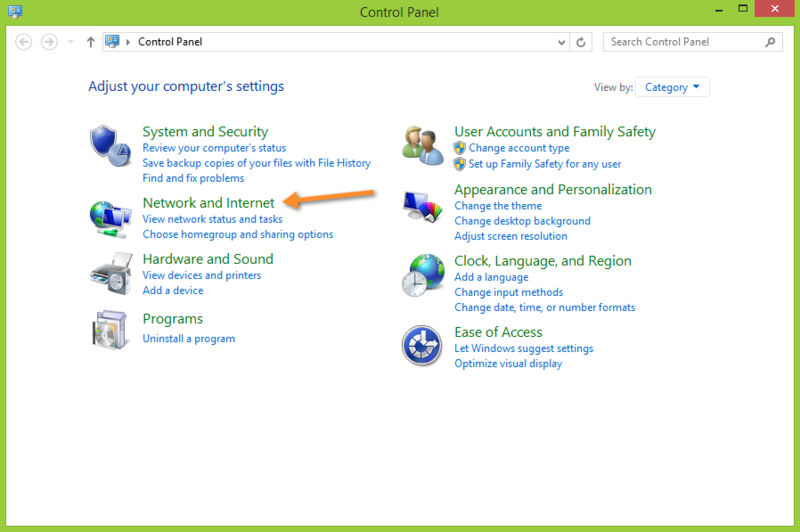 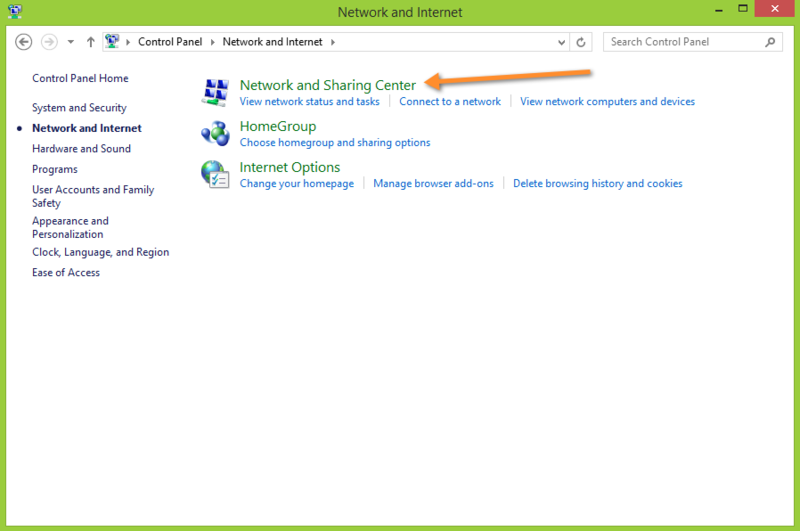 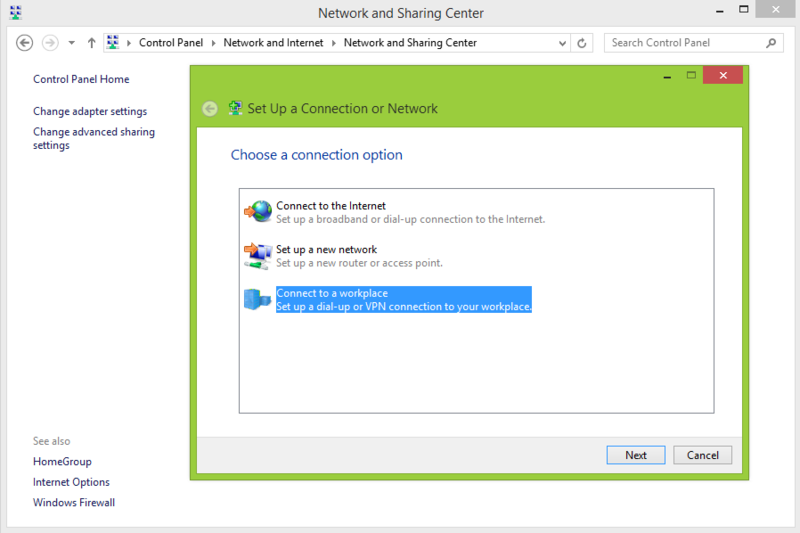 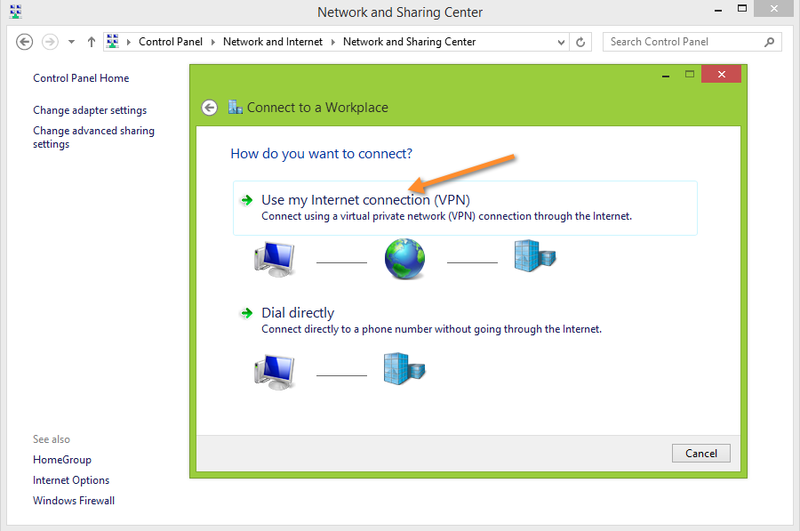 Following instruction have been perform using Windows 8.1 using Native VPN client. 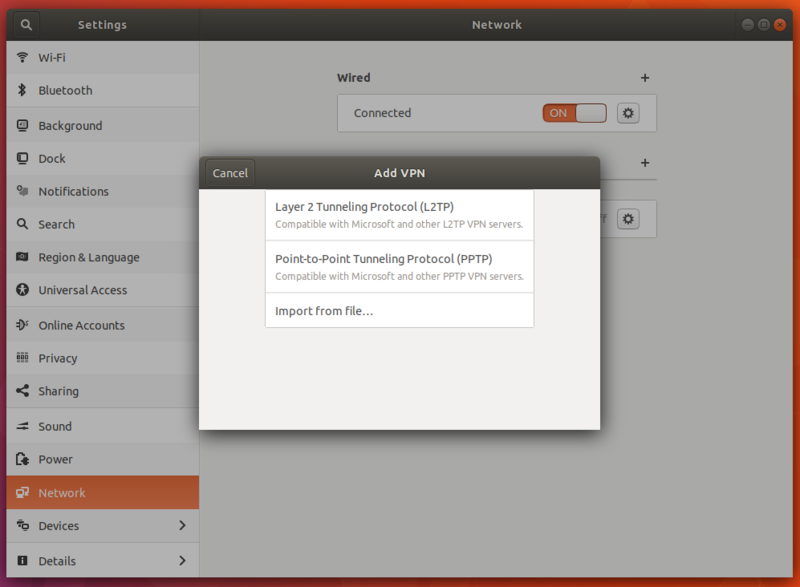 Following instruction have been perform using Ubuntu 17.10 using the network-manager-l2tp-gnome. 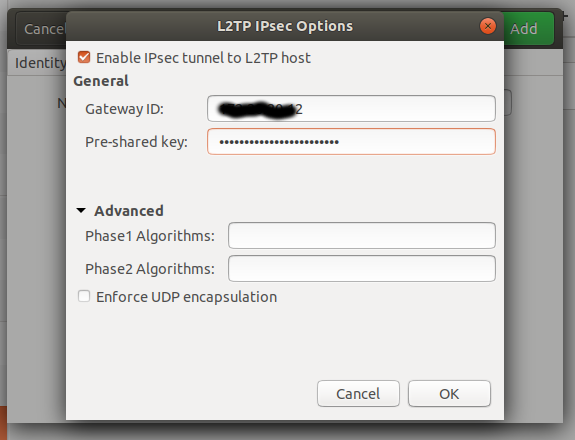 © Copyright 2016, Apache Software Foundation.